Disclosure: These images are to be used as a guide only and not indicative of the exact equipment you may receive upon hire and is subject to availability. . If your materials handling needs involve both indoor and outdoor applications, an LPG forklift could be the perfect solution for you. 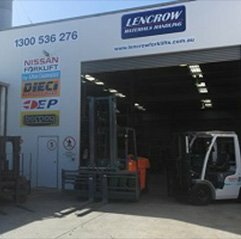 Lencrow’s hire fleet includes a range of LPG and petrol-powered forklifts available for short and long-term hire. Choose from purpose fit and standard dual-fuel models in a range of different capacities, with attachments available upon request. Our LPG/Petrol forklifts are available in capacities from 1.5 tonne up to 7 tonne, lift heights up to 6000 mm, 2 or 3 stage mast options, and with attachments including 360-degree rotator, 2400mm tynes, slippers, jibs, container masts, bale clamps and carpet prongs. Ideal for both indoor and open yard work, our LPG/Petrol forklifts come from all the best makers including UniCarriers and EP Equipment. We can also organise purpose-fit models available on request – such as 2000kg forklifts with dual tyres and 7000mm lift heights. If you run out of petrol you can switch over to gas to keep on working. You can use them indoors on LPG, where a petrol-only forklift would produce too much carbon monoxide. You can use them outdoors in all weathers and on all types of terrain. They accelerate faster, travel faster and have greater lifting capacities than electric forklifts. Why hire a dual-fuel forklift? Flexible options – if business suddenly picks up, you can hire an additional forklift at the same rate you are paying for your existing unit. Short-term hire – you can hire our equipment for just as long as you need it, with our lift trucks available for hire by the day. Fully maintained long-term hire – hire between 6 months and 5 years and get full servicing and maintenance included in the price. 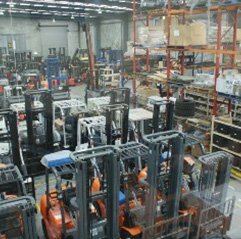 Forklift and operator – if you don’t have someone to operate your forklift, we can provide a licensed operator from $95 + GST per hour. Fleet management – we offer fixed price management and maintenance of fleet hire forklifts over 3, 5 or 7 years. Upfront monthly cost – we tell you the monthly hire cost upfront so your business can budget ahead. Forklift repair or replacement – we guarantee an onsite breakdown repair or replacement service, typically within 2 to 3 hours of your call. 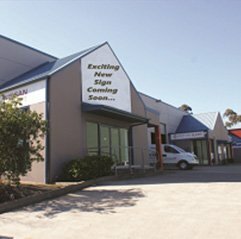 An Australian owned family business, our aim is to provide the Australian industry with a reliable one-stop materials handling solution. And with more than 60 employees at 5 locations across Australia, we think we have what’s needed to continue providing that service. To learn more about hiring an LPG/Petrol forklift, give us a call on 1300 536 276 or simply fill out the form below and one of our friendly consultants will get back to you. Follow Lencrow Materials Handling's board LPG/Petrol Forklift Hire Hire on Pinterest.